Across the street from Orient Heights train station, Angela’s Cafe Orient Heights is our second branch located at 1012 Bennington St. adjacent to Breed St. Here we offer you the authentic Mexican food you already know and love, now alongside the most renowned wines, alcoholic beverages, prepared drinks, and refreshing cocktails. In the presence of a great atmosphere. We always have a place reserved for you, your family and your friends! We are known for being a restaurant run by the family of master chef Angela Atenco, so we love receiving and serving large groups celebrating something special. Whether it's a birthday, an anniversary, or a party between friends or family we have enough room for everyone. As it’s said in Mexico, Mi casa es tu casa! Every day is a great day to have tacos on your mind, but Tuesdays have something special and we actually eat tacos this day. It's just funny and a cool thing with a margarita on the patio. To top it all off, we have an excellent wine list to compliment our dishes, or if you prefer you can also accompany your food with one of our draft beers or refreshing cocktails. Have you ever tried the Lemon Cloud Martini? If you are looking for a place to relax with family or friends, look no further! Angela's Café OH is the ideal place for you and your party. Friday and Saturday, we have the best atmosphere created by live music, our talented bar, and the best specials of the house. Our goal is always to give you good service and make your stay pleasant every time you visit us. 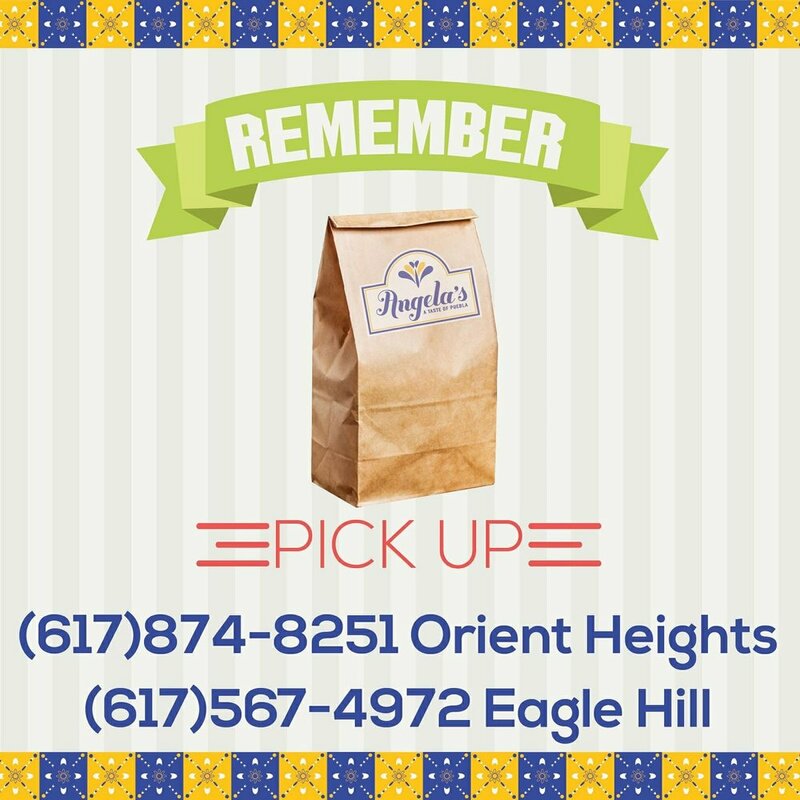 Remember we have two locations just check what Angela's Cafe is closer to you and call us via phone to make your order. Finally just pick up at the restaurant and have a tasty meal. With doors opening at 8am, every day is a good day to visit us! We welcome you every day of the week to something rich, and to have a great time. Remember you can call us to Don’t forget to leave us your opinion on any of our social networks.